Astro’s welding department consists of over 10 welding stations, giving us the flexibility to perform single piece prototypes or short and medium production runs. Our skilled welders are certified in numerous AWS codes in all forms of welding, including Mig, Tig,& Spot welds to meet our customers’ specifications. Our welding services cover applications ranging from close tolerance work requiring extensive fixturing to heavy weldments requiring multi-pass welds. 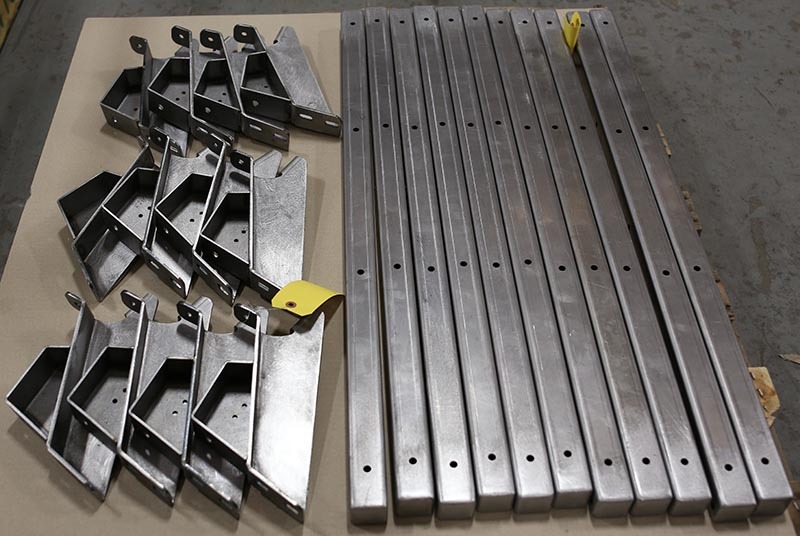 From prototype to production runs, ranging from small weldments to heavy plate fabrications, structural assemblies and heavy-duty frame construction. Our welding department is ready to assist you. We also offer dual-station robotic welding to further enable continuous, simultaneous production, in an effort to save you time and money. See Robotic Welding section. As an ISO 9001:2008registered manufacturing facility Astro’s precision welding services are second to none. Our welders hold certifications and Continuing Education in a variety of materials and alloys. Contact us today to learn more about Astro Manufacturing & Design’s welding services.